Uses Queensland Cursive as prescribed in Australia. 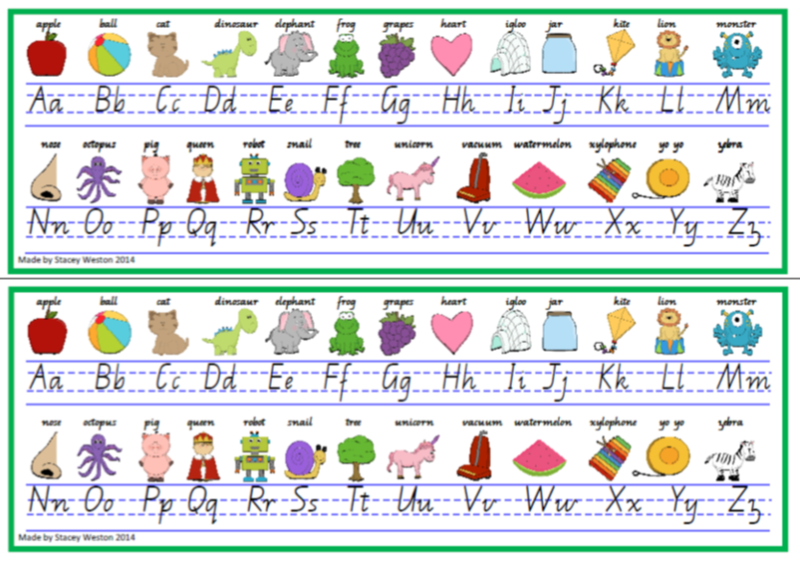 Each letter includes a picture, word and both lower and upper case on dotted thirds. Cute pictures to help make them more appealing to students. Could be printed as is in A4 or increased to A3. Laminate and place one between 2 on the table. Much cleaner and more cost effective than buying the stickers every year.